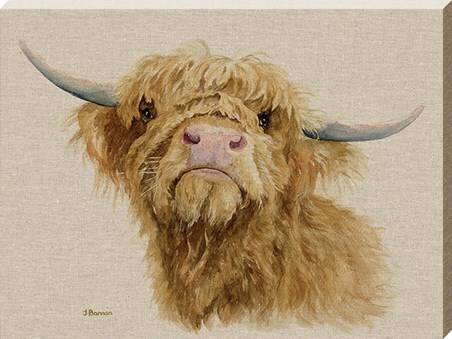 Quitting her oppressive and uncreative job in insurance, Norfolk born artist, Jane Bannon, pursued her dreams and put paintbrush to canvas, to bring us a collection of colourful works! 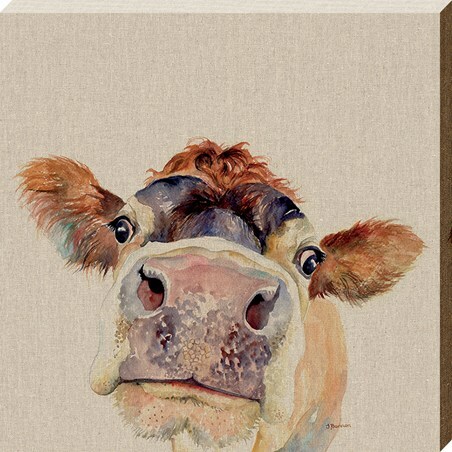 Living in the beautiful countryside, abundant with animals, both wild and domestic, Jane takes her inspiration from her picturesque surroundings, using watercolours to bring her farmyard friends to life. 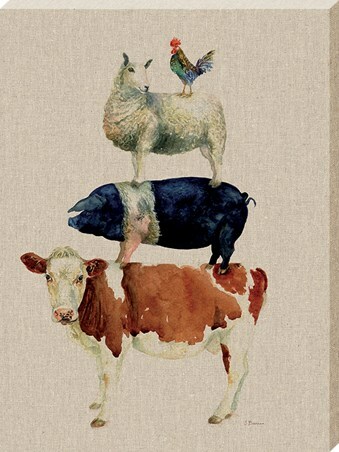 Stacked one on top of the other, this quirky canvas print, featuring a cow, a pig, a sheep and a chicken, is bound to add heaps of country charm to your home. 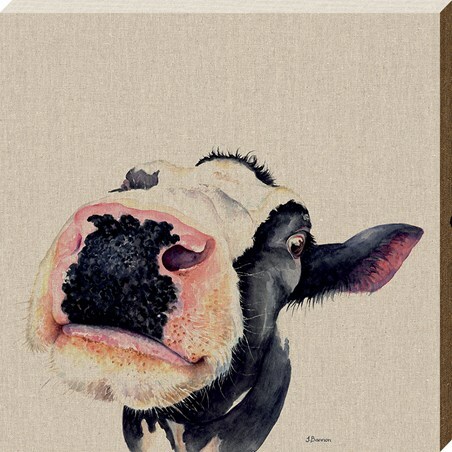 High quality, framed Farmyard Fun, Jane Bannon canvas print with a bespoke frame by our custom framing service.